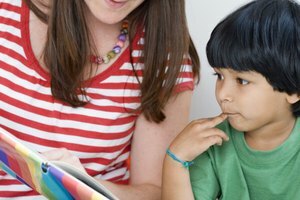 Remedial reading is an extremely important class for children who are struggling with reading. Because these children have difficulty reading, they generally do not like it. To reach these students, it is crucial for remedial reading teachers to make reading fun at the students' levels. This involves finding interesting and lively reading materials, playing games, using art and creativity during class, providing success every class period and rewarding students for hard work. Some schools have remedial reading as a pull-out program, and some have push-in programs. 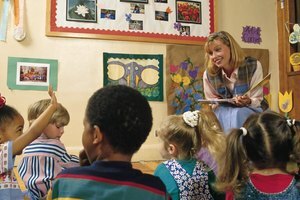 Pull-out programs are necessary for some children to succeed in reading. 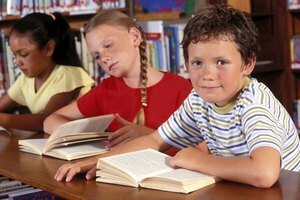 Assess the students that are in your remedial reading program. Your school is likely to have a preferred method for finding your students' reading levels. If you do not have a formal assessment, the easiest way to figure out a student's reading level is to do a running record on a leveled book where you think the student is reading. For example, after listening to Student A read in class the first week of school, you have decided he is reading on a middle second grade level. You give Student A a second grade book and keep track of what he reads. If he reads a word correctly, you make a check mark. If he reads a word incorrectly, you write the mistake he makes. This does take practice. If you are not fast at this, you can tape record your student reading and then do the running record with the tape. Also have the student retell the story to make sure he comprehended it. Group your remedial reading students by reading level if possible. Some schools' schedules will allow for this because even though there may be five second grades, they all have the same daily schedules. So, if there is a student in room one and another in room two reading at the same level, you can group them together and teach them in a small group. At other schools, this is not possible, and you may have to have small groups of students who are on different reading levels. Plan your daily lessons. Remedial reading does not just include reading. Think of it as all language arts because spelling and writing are connected with reading. Think of your schedule like this: on day one, each group will be introduced to a new book and read through it. On day two, students will read the book again to themselves and maybe with a partner. On day three, students will read the book to a stuffed animal and do an activity such as a journal writing or an art activity. On day four, students will play a game with words from the book such as finding all the short a words the fastest or going on an -ing hunt. On day five, students will have a celebration and finish up activities from the book. Introduce a book and read it through with students a few times before they read it on their own. Guided reading is a wonderful tool to use when teaching remedial reading students. To find out more about guided reading, see the link in Resources. Walk the students through the book the first time. Ask them what they think the book will be about based on the title and pictures. Point out any difficult words or character names. Ask them what they already know about the subject or the author of the book. When it is time to read the book, have each student read it out loud to themselves all around the room and you listen to students and take notes on what you hear as you go around the room. When students are finished, you can talk about the great things you heard and then maybe reteach some of the difficult vocabulary or concepts. 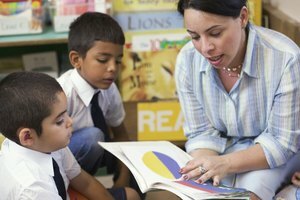 Guided reading is perfect for teaching remedial reading. When working out a schedule for your remedial reading groups, make sure to ask teachers and your principal to help you. Making a schedule and trying to reach every student at their level is one of the most difficult parts of being a remedial reading teacher. Schedule family reading nights two or three times a year. Plan activities for your remedial reading students to do with their parents or family members that are fun and interactive. This will help make reading fun and encourage reading at home. Dill, Margo. "How to Teach Remedial Reading." Synonym, https://classroom.synonym.com/teach-remedial-reading-4550199.html. Accessed 18 April 2019.